Welcome to Paramount Music Academy, home of the best music instruction anywhere! With the various class formats available including private classes, group classes, classes in recording, music theory. and so much more, there is definitely something for everyone here at Paramount Music Academy. With multiple locations, PMA has been helping its students reach their goals by leading them with the most effective and efficient methods available. Regardless of age, Paramount Music Academy is the best place for you or your child’s music instruction. 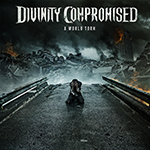 Divinity Compromised featuring PMA Instructor Jeff Treadwell releases debut album. Also, check out Jeff Treawell's solo transcriptions for the album. Buy it with the album on the PMA store and save $5! New Paramount Music Academy Store! We have just launched the new PMA store! 20% off of everything for the next week! (Ends on November 7th) Thank you all for your continued support!